A place for my apps & other stuff. 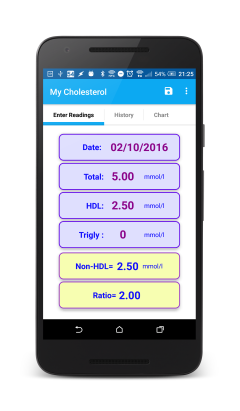 My Cholesterol will calculate your cholesterol ratio and keep track of your cholesterol results. 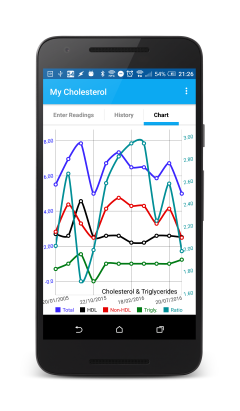 You can then view your results history in either a table or on an easy to read full colour multiline chart. 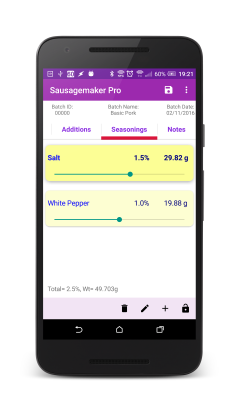 Sausagemaker Pro will take care of all the tedious calculations when making a batch of sausages. Calculates Fat% from mix of meats. 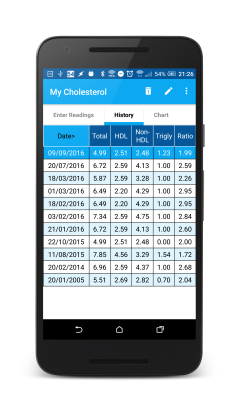 Calculates additions (rusk, water etc.) and seasonings. 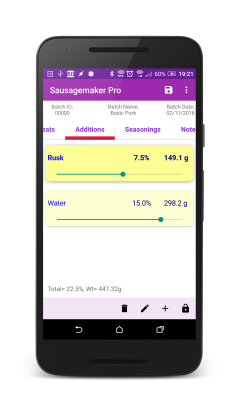 Enter target fat% and Sausagemaker Pro will calculate the ratio of meats required. Calculates quantity of sausages that can be made from the batch. Calculates total casing length required. Add your own seasoning mixes. 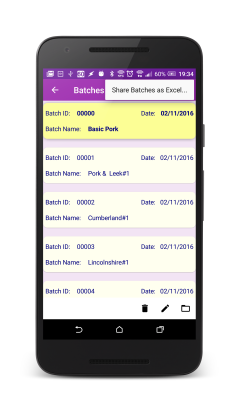 Save batches to internal database for later retrieval and editing. Export batches & seasoning mixes in Microsoft Excel format. 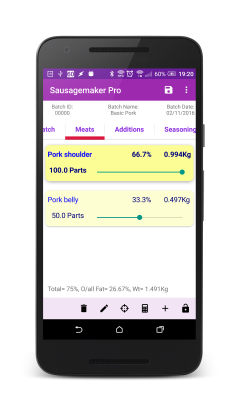 You can download the User Guide for Sausagemaker Pro here.